A scorcher of a day compared to recent weather, 20° c… And pretty much flat calm. The fact we could see every ring on our keepnets today didn’t bode well with the water very clear. The carp were more intent on crashing around in the stick – ups than feeding..! Some nice nets of silvers and good to see a few ide starting to feed after the rigours of spawning… But they soon backed off after the first two hours of feeding, most likely spooking due to the clear water. 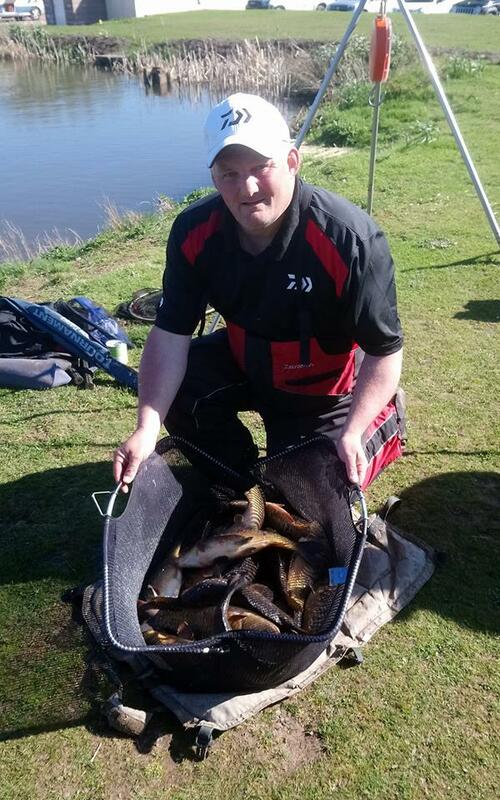 Barry Young drew hot peg 32, but was made to work hard for his bites today. 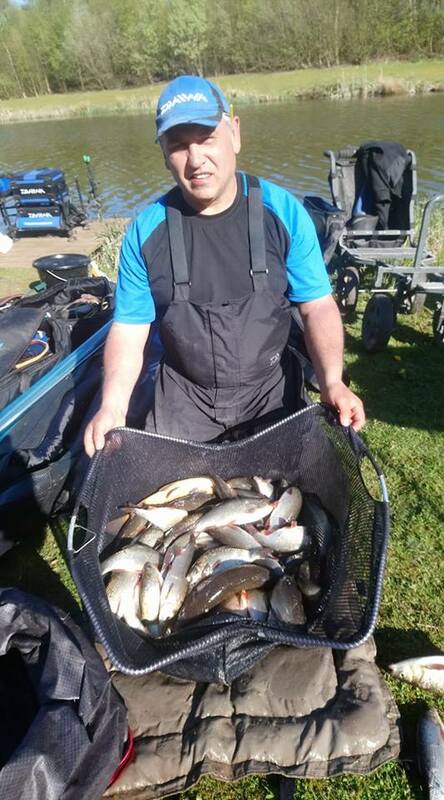 With no bites on his long pole and margin lines… He stuck it out on the method feeder, hooking 27 carp, and landing 24 of those for his 57lb 6oz overall winning weight… He was unlucky to lose a 14lb carp at the net after a good 10min fight..! 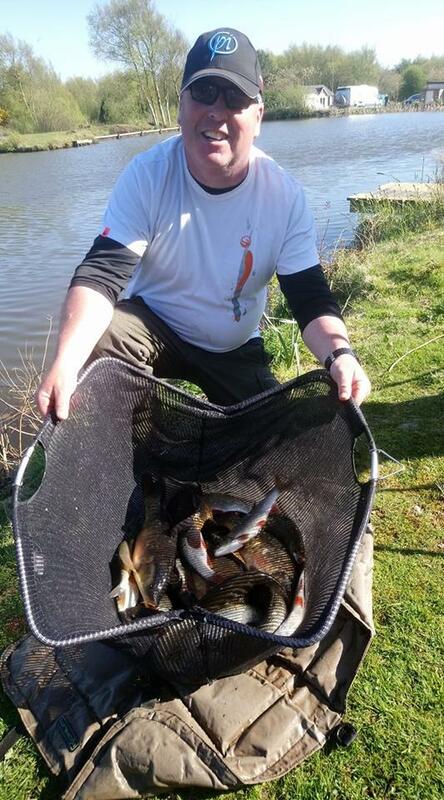 John Williamson won section 2 with 4 Carp and a netful of small ide, caught on pole and tip rod… He did well considering the conditions with the rest of the section struggling in the bright conditions. Section 3 was a bit more closely contested, with Ian Whitson on peg 44 narrowly beating Geoff Whittle on end peg 47 by less than 2lbs..! 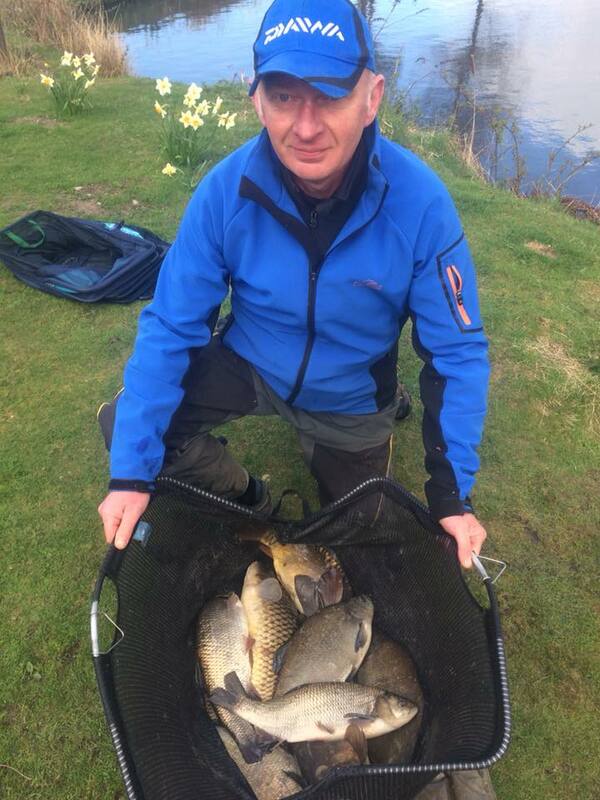 Ian weighed in 31lbs 8oz, a few small carp on tip rod and a decent netful of ide on the pole/maggot made up his weight. Well done all who fished on a tough day, with many going home rather tanned..!